Children’s Hospice and Palliative Care is a nonprofit organization devoted to the advocacy of children with life-threatening conditions. 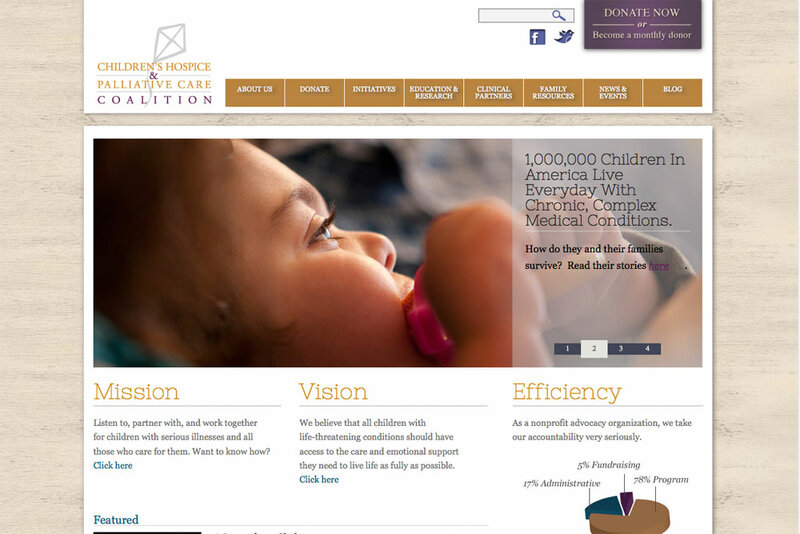 Focus97 designed and developed a custom marketing website for the organization. Design contributions by Cari Class.